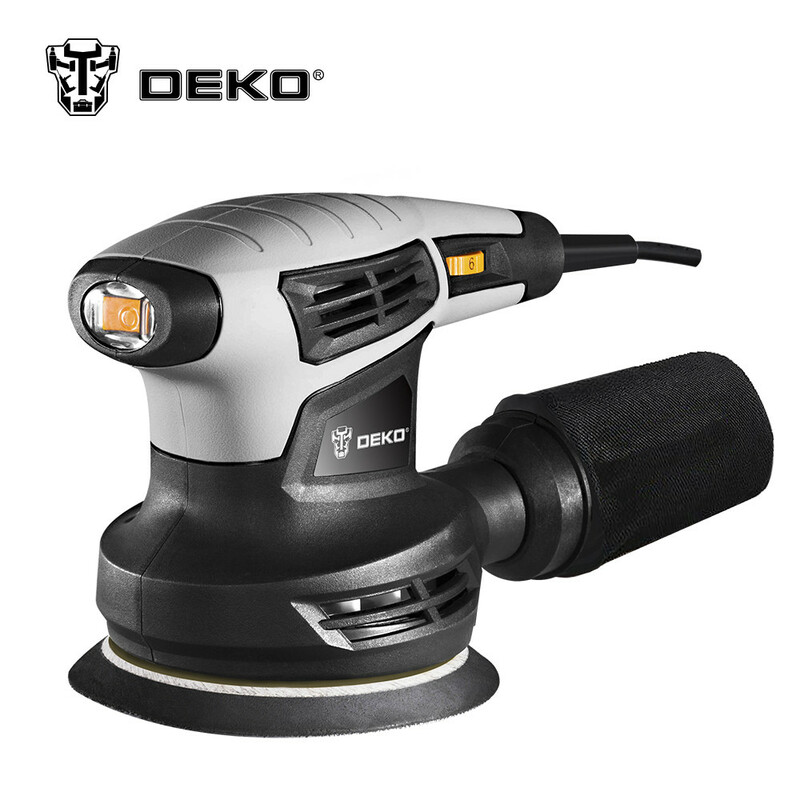 The DEKO QD6206 280W random orbit sander bringing DIYers close to the work surface, This sander provides fast, efficient material removal with 3.0 amps of power generating 13,000 orbits per minute. The switch is activated by pressing down naturally with the palm of the hand as if the sander is in use. This tool is designed to allow carpenters and cabinet makers to complete their tasks quickly and to exacting standards, without swirl marks. This sander allows users to find the perfect speed for whatever task they need to complete, with an optimal on-board system for filtering fine dust. This random orbit sander includes variable-speed control, so users can demand the exactly right speed for each individual task. The speed is adjustable from between 6,000 and 12,000 opm, with a single speed of 12,000 opm, so operators can dial up or down. ePacket: good for some countries. The average delivery time is 15 ~ 35 days. But can\'t send cordless drills and any machine with battery pack. AliExpress Standard Shipping: good for most of worldwide countries. The average delivery time is 15 ~ 35 days. But can\'t send cordless drills and any machine with battery pack. 4PX Post Union: good for European counries, the average delivery time is 10 ~ 35 days. Can send cordless drill but can\'t send single battery pack. Netherland Post: good for European counries, the average delivery time is 10 ~ 35 days. Can send cordless drill but can\'t send single battery pack. Z-LION 1 Piece Air Wet Polisher M14 Thread Pneumatic Air Tool Air Sander Pneumatic Polisher With 1 Piece Aluminium Backer Pad 4"